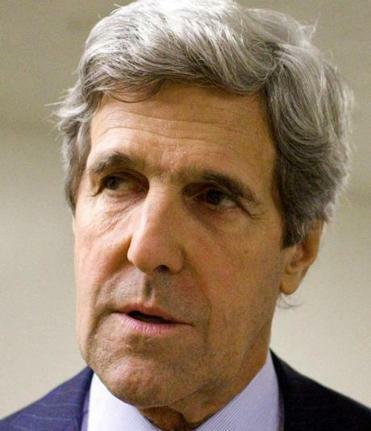 Senator John Kerry says jobs could be lost. A dozen US Senators, including John Kerry and Scott Brown, are urging government officials to reauthorize a production tax credit for wind energy projects that is set to expire at the end of the year. Wind industry representatives, including the American Wind Energy Association trade group, are pushing for a long-term extension of the credit, which pays project owners roughly two cents for every kilowatt hour their wind turbines produce. The credit was created in 1992 to spur development of wind energy and remains central to the health of the industry. Massachusetts has a significant wind energy sector, which includes Cape Wind, among several companies, and a government-backed center to test wind blades. The problem, wind advocates say, is the credit must be renewed every few years, leaving investors hesitant about financing projects that might not be able to use the credit. And the few times that it has expired, the sector experienced a significant drop in business before the credit was reinstituted. In Somerville, Second Wind, which makes equipment to measure wind speeds and generate other data, has already had orders delayed or canceled and has laid off workers as result of uncertainty about the tax credit, Kerry and the company said. In their letter to Senate leaders, the senators urged Congress to provide a “stable tax environment’’ for the US wind industry, which includes 400 facilities that make wind turbine parts, according to the American Wind Energy Association. “Failure to extend the production tax credit will weaken this growing manufacturing sector,’’ they wrote.